As much as it galls me to admit it, pop, and especially rock music is a largely male enterprise. It's not that women never sing or buy or appreciate it, but that they are a minority group, and of a gender more likely to support a boy band or teen angel than a radical artistic favorite like The Velvet Underground. Even a well meaning campaign of inclusivity like VH1's Top 100 Women of Rock and Roll poll stretched to include Barbra Streisand, Dolly Parton, Ella Fitzgerald, Bessie Smith, and the female (and non-songwriter/producer) halves of the B-52s and ABBA. The top two female choices, Aretha Franklin and Tina Turner are not known as songwriters or producers and did not direct their own careers. In fact, Turner is one of pop culture's most famous survivors of domestic abuse at the hands of her manager/ husband. In the broader based list of 100 Greatest Rock Artists, the highest ranked woman (Franklin) is rated twenty first. Only four other female solo artists make the list, plus one girl group (The Supremes, at 94), and four bands with a single female member make the list for a total of ten out of the one hundred. This isn't to give undue credence to VH1 or any other polling body, but the results are compelling. There is no female equivalent for The Beatles, Rolling Stones, or Who; no legendary producer like Phil Specter, George Martin, or Brian Eno. An elegant chameleon like Annie Lennox is far outsold by David Bowie, as is the goddess of pop perversion Tori Amos by the god Trent Reznor. Scratch the surface of pop music and you'll find hit machine Diane Warren and her thirty-nine top ten hits from the past ten years, but you'll have to admit it's a sad day when you hear a band like Aerosmith singing one of them ("I Don't Want to Miss a Thing"). The mighty Madonna (who turned her domestic abuse crisis into disco but didn't crack the top 100 rock stars list), is unique amongst women in her combination of self-determination and pop durability. In short, as in almost every other art form, depictions of women in rock/pop music are disproportionately generated and perpetuated by men-usually as objects of lust or as irritants. In the one subcategory of rock/pop music in which women are uniformly rendered sympathetically, the Power Ballad, they are tragic fantasy figures, and often die by the end of the song. In this way, they join their sisters in drama, opera, and the musical theater, memorialized on stage, album, and screen by men wearing make-up. Essentially, Power Ballads are La Boheme for straight guys. 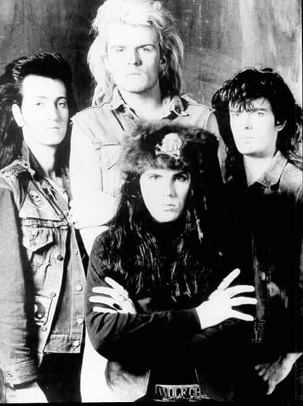 One of the best Power Ballads is "Edie (Ciao Baby)" by The Cult. 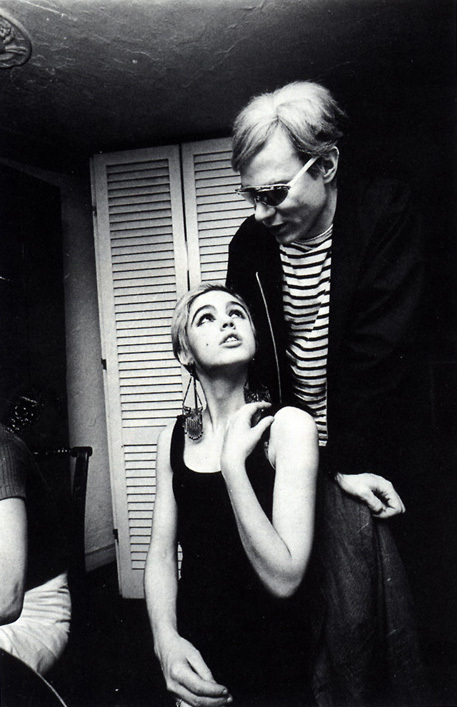 It was based on Edie Sedgewick-an upper class crony of Andy Warhol's and one of the first and brightest of his Superstars. She was extensively featured in the Factory workers' films, photographs, and happenings, and allegedly was the inspiration for the Velvet Underground's song "Femme Fatale," and two tracks from Bob Dylan's album Blonde on Blonde-"Leopard-Skin Pill Box Hat" and "Just Like a Woman." Eventually, and to Warhol's sorrow, she abandoned the Factory and tried for a place in legitimate fashion and filmmaking. Fame and fortune eluded her, almost certainly due to her drug habit, and she died nearly forgotten and alone in the mid-seventies, in the same sanitarium where her father spent his last days. Her life was chronicled in the documentary film, Ciao Manhattan-the movie which inspired Cult front man Ian Astbury to write "Edie (Ciao, Baby)." Power Ballads, like opera or musical theater, are often lugubrious, even ridiculous. But allow them to work on you and have a brush with the Big Emotions-Love and Despair, Sorrow and Pity-catharsis in your car on the way home from work. Sure, it would be nice if female singer-songwriters would write Power Ballads of their own and mournfully kill off a man or two in song, but for now it's probably sad enough to know that The Cult's most recent release was written by Diane Warren.